One of the cities we’ve all been dreaming to visit is the Most Beautiful City in the World, the Ville de Lumiere, the City of Love, and the Most Romantic City in The World-- Paris, France. 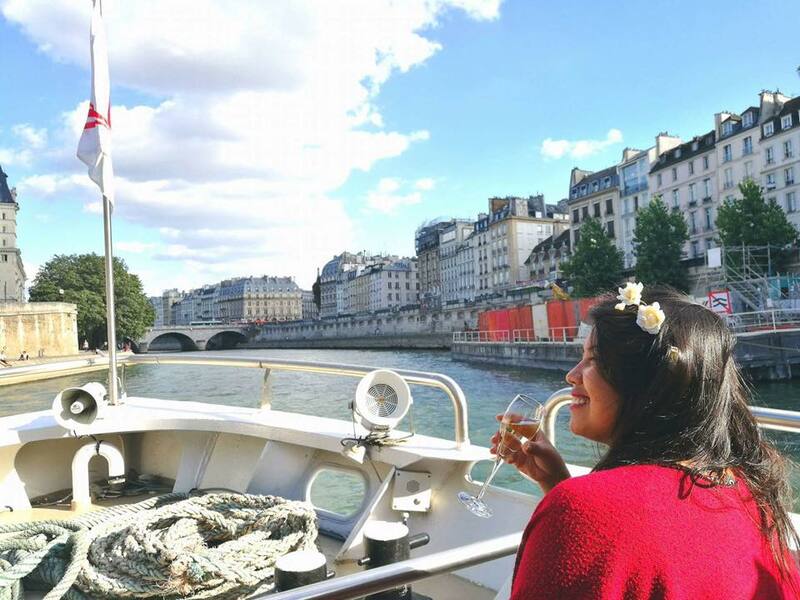 At one point in our lives, I’m sure we all wanted to see the Eiffel Tower up close, walk along the Seine River, cross the romantic bridges, visit the Versailles, and see how beautiful the Mona Lisa is at the Louvre Museum. I also had this dream of visiting this City and this dream came true when we had our Honeymoon in Paris last 2017. We got the chance to have a drive around town in a Vintage Citroen 2CV, climb up the Eiffel Tower, had a 4-hour Lido de Paris cabaret experience, had a romantic champagne cruise at the Seine River which we ended with a romantic dinner at the 58 Eiffel Restaurant. It was surely a trip of a lifetime! For Philippines Passport Holder, we need a visa to visit France and I’m here to discuss more about it-- the requirements, step-by-step guide, and frequently asked questions. If you’re visiting several countries in the Schengen Area- You have to apply at the Embassy of the Country where you will stay the longest. If you’re visiting several countries with an equal duration- You have to apply at the Embassy of the Country where you will enter first. If you’re only visiting one country in the Schengen Area- Then you have to apply for a Schengen Visa in the Embassy of this country. This guide will apply if you will be solely visiting France, you will be staying longest in France, or if your first destination is France in case you’re staying in other Schengen Member States for an equal period of time. In any of these cases, you have to apply for your visa at the French Embassy in Manila. If you are not a national of your country of residence, please provide proof of your legal residency in this country (e.g. residence permit, etc.). Proof of the professional situation (employment contract, work certificate, pay slips, proof of pension) or any document relating to the applicant's personal links in the country such as land/condominium title, lease contract, car registration, business registration, etc. Step 6: Track the progress of your application and wait for the results! 1) How much is the visa processing fee for a short-stay visa in France? It is 60 Euros but must be paid in local currency. 2) Is this fee refundable in case of visa rejection? No. This is absolutely non-refundable. 3) Do they have photocopying services in VFS Global? Yes (albeit quite expensive). They also have a Photobooth Facility, SMS/Courier Service, and a Premium Lounge Service. 4) Can I bring things inside VFS Global? No. You can only bring your documents inside. No bags are allowed and you will be asked to deposit your things in the locker area for a fee. 5) How long can I stay in France with this visa? It depends on what the French Embassy gave you. The visa stamp indicates the validity of the visa and the authorized length of stay. It may be even issued for a single entry or multiple entries. 6) I am a student and I don’t have the documents required. What can I do?? Submit an Affidavit of Support from your parents and you can submit their financial documents. 7) Can I submit Paypal Transactions? Sure! This is what we always do. 8) Does my visa guarantee my entry to France? No. You will still have to face the French Immigration/Border Control which could deny your entry in the French territory. 9) How much should I have when traveling to France? You should have at least 60 Euros/day and this is only for your daily expenses, excluding accommodation expenses. 10) Will they ask me for certain documents upon my entry in the French territory? Usually, only the visa and your passport is asked for. However, some Immigration Officers are very strict and they could also ask you for your financial documents, hotel booking, insurance, and return ticket. That’s it for this post! I wish you all the best for your visa application! If you need more help, don’t hesitate to avail of my Coaching Services. This way, we could prepare for this visa application. I have traveled across more than 100 countries and I’m sure I can help you with this one!